Continuing our summer series on TheJournal.ie of public figures’ favourite speeches, Tánaiste Eamon Gilmore picks a speech by a former US president. One can not underestimate the power of a good speech or the effectiveness of a speech’s key line. With that in mind, over the course of the summer TheJournal.ie is asking some of the most prominent figures in Irish society from politicians to sports stars to nominate their favourite speech of all time and tell us why they like it so much. Although his reputation was smothered by the morass that was US involvement in Vietnam, Johnson was a remarkably successful President. His domestic policy agenda which encompassed the war on poverty and huge shifts on Civil Rights was about making America a better, fairer place for its people. This agenda needed a name, and at a University of Michigan Graduation Ceremony he gave it one: The Great Society. Masterfully crafted, the speech is both a vision, and a call to service. Even if this rough diamond from Texas referred too often to men, and too little to women, this speech, which is about fairness, environmentalism and educational opportunity for all, still has the capacity to inspire today. 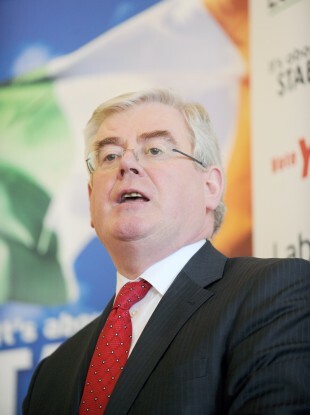 Email “My favourite speech: Tánaiste and Minister for Foreign Affairs and Trade Eamon Gilmore”. Feedback on “My favourite speech: Tánaiste and Minister for Foreign Affairs and Trade Eamon Gilmore”.